The perfect companion! Enjoy the sweet, soulful gaze of a West Highland Terrier with none of the shedding or work. 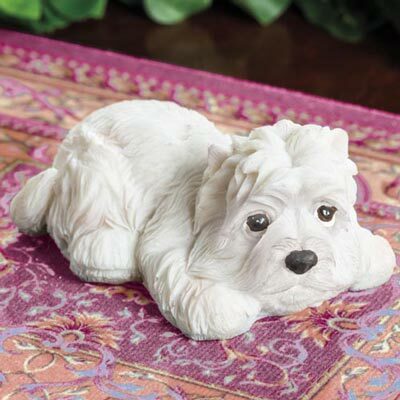 Made of durable resin and hand painted for a realistic effect, our little dog makes a cute accent piece. 3¼"w.